Top Ranked Among Providence Area HotelsNear the Providence - Warwick Airport, TF Green International (PVD) and just eight minutes south of downtown Providence, the Crowne Plaza Hotel Providence - Warwick Airport offers New England visitors a comfortable, convenient home base in Warwick, RI. 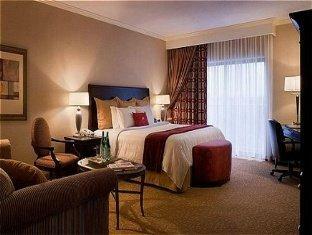 Our hotel's guests enjoy convenient access to area businesses, attractions and Providence Convention Center. Premier location for weddings and social events.Featuring over 43,000 sq ft of event space for groups of up to 2,000 and services like a Crowne Meetings Director and Daily Meeting Debrief, we are "The Place to Meet" among area hotels. Near the Providence - Warwick Airport and area companies, including Davol, Amgen, MetLife, Quonset Point and Citizens, our address ensures an easy commute for business guests to Warwick, RI.Our hotel's location near Providence offers Rhode Island leisure travelers exciting entertainment, from visiting local parks and beaches to touring Colonial America sites. The Warwick Mall, less than a mile away, promises great shopping opportunities, while nearby Providence College and Brown University offer sporting events, performances and lecture series.We are pleased to offer quality amenities, including free Wi-Fi access, a park and fly program, Business and Fitness Centers, and a heated indoor pool, the Crowne Plaza Sleep Advantage program. The Crossings Restaurant: The Crossings offers fine American cuisine at moderate prices. New Menu as of April 2019. Alfred's Lounge: Alfred's Cafe and Lounge offers a traditional library style decor with over stuffed sofas and a fireplace. Over 100 wine selections by the bottle and 24 selections by the glass. Alfred's Lounge: Alfred's Lounge is a beautiful library styled atmosphere with hundreds of wines available by the glass. Warwick MallFeaturing Macys and Nordstrom Rack! Rhode Island MallFeaturing Kohls and Walmart. Foxwoods Resort CasinoFoxwoods Resort Casino. Comprises six casinos that offer more than 6,200 slot machines and an incredible 380 tables for 17 different types of table games, including 100 for poker, high tech Race Book and Bingo.